AJ is an eager risk taker (his wife thinks he has a gambling problem), recreational scuba diver and an avid world traveler. He grew up in Vienna, Austria but has always called his birthplace, New York City, home. He lives there now with his beautiful wife and 2 wonderfully…demanding kids. Further enhancing his international background, AJ spent 3 months in Nepal designing a computer curriculum for disadvantaged children, and remains passionate about educational issues. While not doing his part to “save the children,” as an MBA candidate at Ross, AJ served as MBA ambassador and worked with the admissions team during his second year. Currently AJ is an active member of the admissions team for his alma mater, volunteering as an alumni interviewer. Following business school AJ had a front row seat to the financial crisis as an Associate with Lehman Brothers; he currently works as a Vice President at a large bulge bracket investment bank in the firm’s Institutional Clients Group. 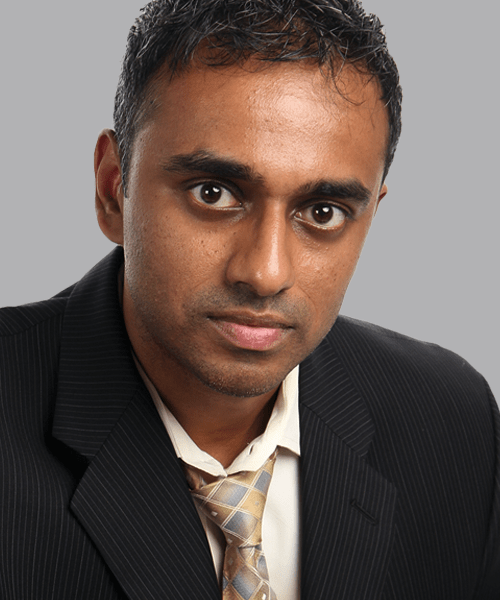 Prior to earning his MBA AJ was a client facing IT consultant for five years. He has a BS in Electrical and Computer engineering from Carnegie Mellon and an MBA from the Ross School of Business, University of Michigan.